Here we have a stunning filly by Dandy Man out of an Invincible Spirit mare Angel Spirit. This filly was purchased in France at the Arqana V.2 Yearling sales by Blandford bloodstock and Archie Watson who will train her. The filly qualifies for French premiums, which is a 63% bonus on top of prize money won in French races. 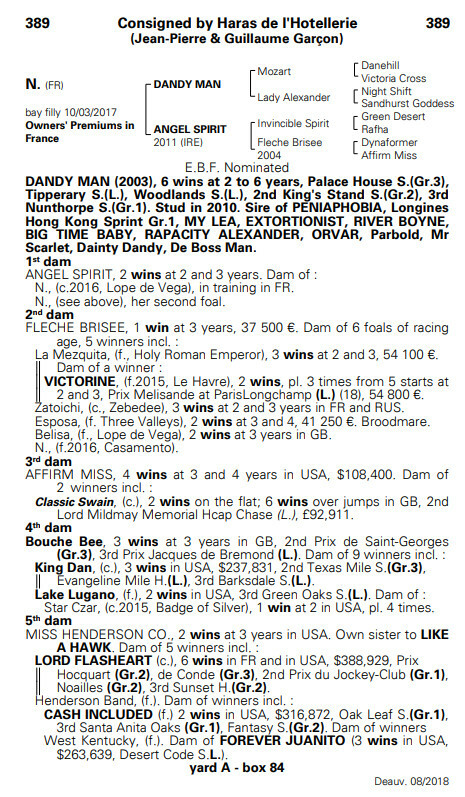 The dam, Angel spirit won 2 races in France at 2 & 3 amassing total prize money of €23700. Angel spirit is by the great sprint sire Invincible Spirit out winning mare Fleche Brisee who won €37500 in prize money. 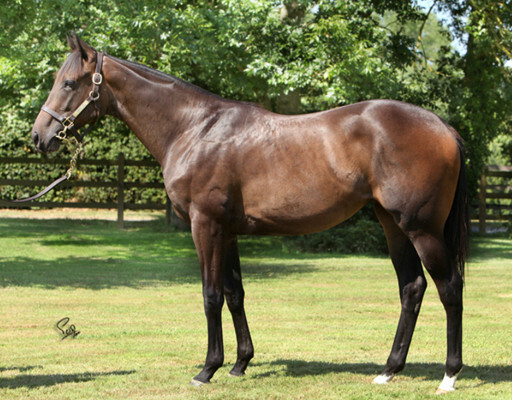 Angel Spirit has produced 2 foals, the first foal; Le Marais by Lope De Vega won his second start readily by 3 lengths and is obviously held in high regard by great trainer J-C Rouget as he was a beaten favourite next time out in a Listed race, but being by Lope De Vega one would assume he will improve into his 3 year old campaign and hopefully take a black type race to make this filly a second foal half sister to a black type performer. Our filly is a well stamped horse with good strong shoulders, a very strong back end and a classy athletic walk to boot and is very correct. The filly looks as she should being by a sprint stallion out of a sprint mare and certainly looks like a sprinter. We at Ontoawinner are very impressed by this filly and think she is one of the nicest fillies we have ever bought, she has the classy look to her and walks like a filly should as you can see in the Sirecam video above. 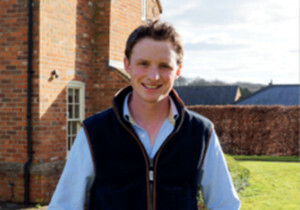 “The Dandy Man filly has settled into the yard very well and is already on the gallops doing light 3f canters, she is doing everything very easily and I am very happy with her at this stage, obviously we haven’t turned any screws yet as it is early days in her development but what she has done she has done very well and I’d say she will be out in May time. She is definitely a filly I am looking forward to pushing some buttons with”.